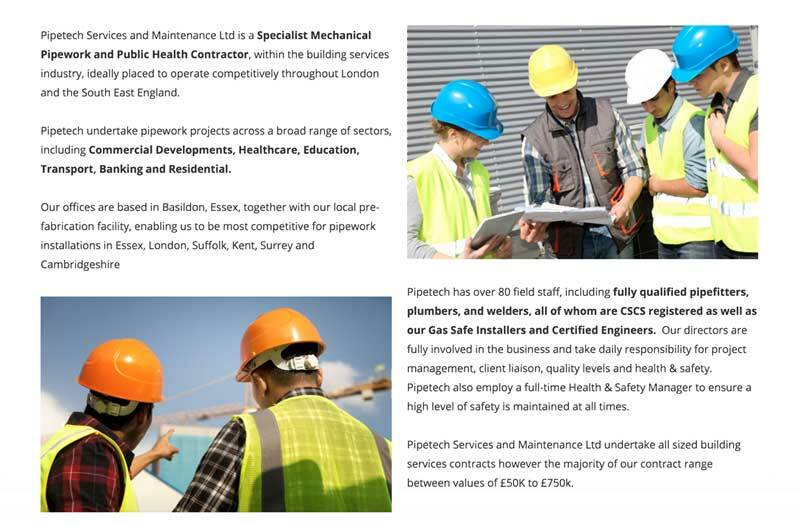 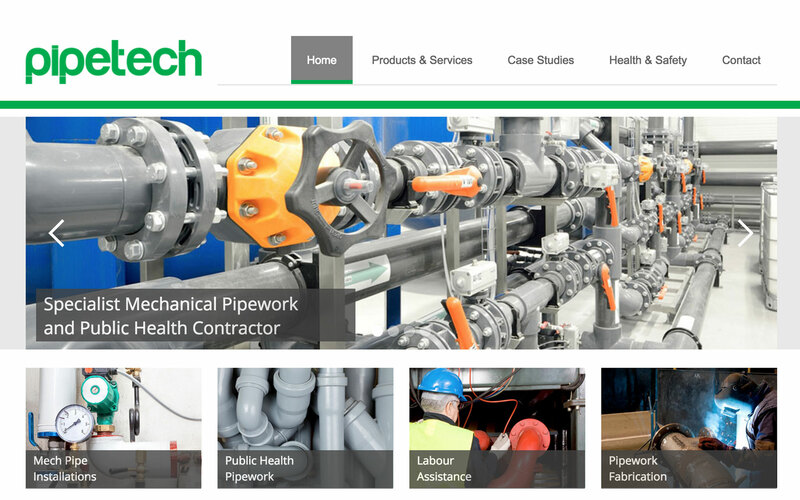 Pipetech Services needed a clean, accessible and responsive site for their customers and suppliers. 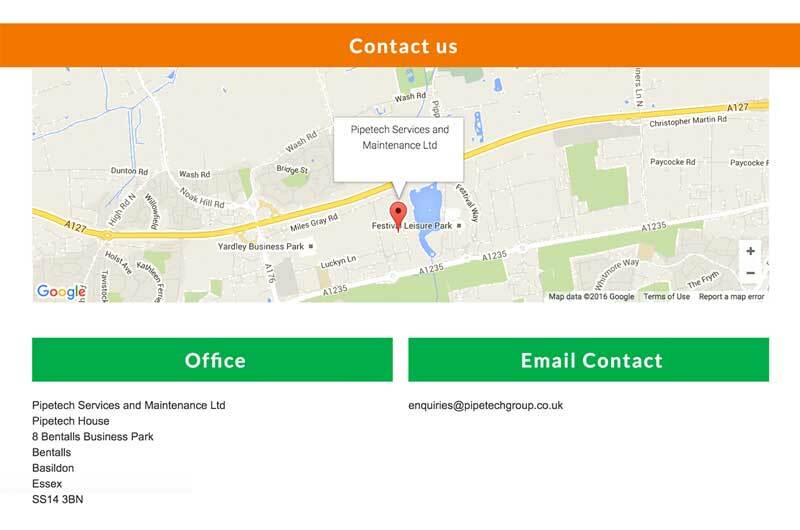 The site works seamlessly across the numerous devices whether they be desktop, tablet or mobile based. 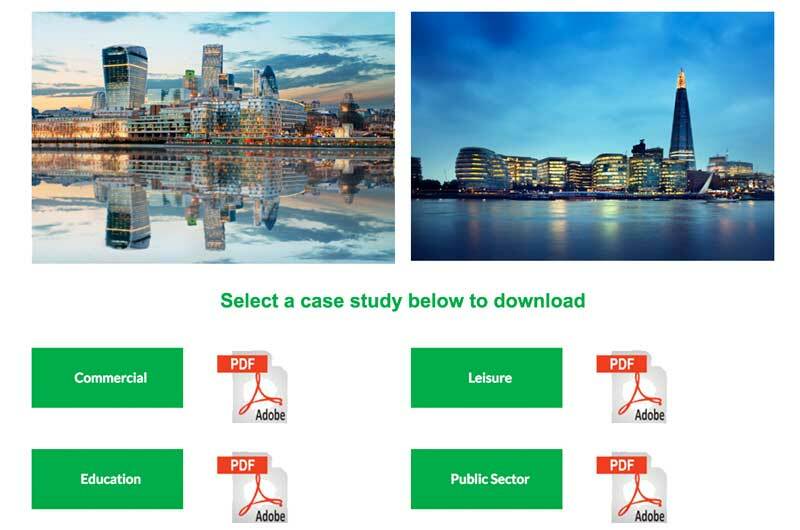 Lots of their customers use very old browsers within a corporate network so care had to be taken to make the site accessible to users who were using browsers like Internet Explorer 7 or 8.